On the 21st: Today we talked about the new anthology, Survivor, and how stories of science fiction or magic can help us recover from traumatic or challenging events. Plus, whether you're visiting family or headed away on vacation, it’s the time of year when a lot of us will be on the road or on a plane. We talked about some of our favorite podcasts to help you pass the time. But first, the holiday’s can be a wonderful time to get together with family and friends. Although it can also be stress too. We spoke with two therapists about how to maintain good mental health this holiday season. How can writing help us make sense of trauma or other challenges? And how can fiction writing help us heal? Those are the questions behind a new anthology called Survivor, which features stories of pain and healing, from military veterans, to survivors of sexual assault and child abuse, to those who have lost loved ones. Co-editor Mary Anne Mohanraj was with us from Chicago, where she also teaches English at UIC. And Angeli Primlani also joined us. Angeli is a Chicago-based writer and artist and one of the 16 authors featured in the book. 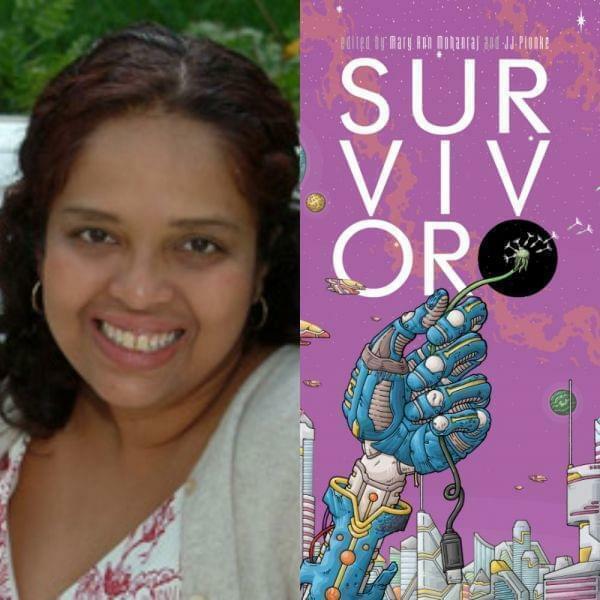 "Science fiction fantasy gives you a safer way to explore these issues" says @mamohanraj, co-editor of 'Survivor,' a book that features stories of pain and healing. "It was also a way to give people space, it can be hard to talk directly about a traumatic experience." It’s the time of year when lots of Americans spend time either on the road or on a plane whether it’s to visit family, or perhaps to head to a vacation spot. If you need something entertaining to pass that time, podcasts are a great way to do it. Nick Quah joined us to recommend some of his favorites. He writes the Hot Pod newsletter and also writes podcast reviews for Vulture. Ma’ayan Plaut was also with us from Boston. She is a podcast librarian and content strategist with RadioPublic, they help listeners discover new podcasts through their app. We’ve been talking a lot about Thanksgiving this week, in particular how we celebrate. The holidays can be a wonderful time to get together with family and friends. But, it can also be a stressful time. From all the travel to dealing with family disagreements to the pressure of hosting, to confronting feelings of isolation, especially for those who have lost loved ones, the holidays can be tough on maintaining good mental health in many ways. So how can you cope well? Dr. Kristina Brown joined us to share some mental health care tips needed for the holidays. She's the chair of the Couple and Family Therapy Department at Adler University, Chicago. Also joining us here in our Urbana studio was Pamela Wendt. Pamela is a licensed counselor and the owner of Creative Solutions Counseling Group in Champaign. "If we can get people just to listen to us, we can feel like we're heard, and that can negate some of the conflict during the holiday season," Pamela Wendt says about holiday stress. Use "I statements," says Kristina Brown. It helps de-escalate the situation she says.